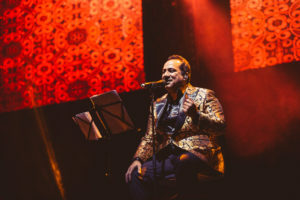 Dressed in a golden embroidered jacket, sitting center stage on a bar stool and accompanied by a simple back up band, the heir of Pakistan’s qawwali legacy, Rahat Ali Khan performed before a sold out crowd at the London O2 arena for a special concert marking the celebration of Pakistan’s independence. The entire day was filled with cultural events, food buskers and Bollywood dance lessons just outside the concert venue where a diverse crowd of South Asian fans (and quit a few celebrities) enthusiastically took to their seats. The concert commenced with what Rahat dubbed his “Love Songs”. But in the tradition of qawwali the “Love” can’t be distinguished between the love for a person or the love for God. There were many instances during the almost 3-hour concert, where devotion and emotion were indistinguishable for the performer as well as for the audience.From the first notes onward, the concert was an unending high consisting of goose bumps, musical elation, uncontrollable smiles and utter joy. Between the sets, Rahat had a surprisingly jovial back and forth with his audience, his respect for them and his art shining through every eloquently worded syllable, illustrating the fact that the singer’s poetic nature is not confined to his songs but also how he treats the people around him. Although his recent popularity is partly due to his numerous Hindi movie soundtrack collaborations, his unmistakable talent and skill honed through decades of training is always accompanied by the clarity of Rahat’s voice and the Sufi tradition that power his songs. The crowd erupts in roars as soon as they recognize the initial notes of hits like “Aas Paas hai Khuda” (Anjaani Anjaana) or the mere mention of Bollywood actress Madhuri Dixit, on who the song as “O Re Piya” (Aaja Nachle) was picturized. Both songs transcending the forgettable movies that they were in, becoming crowd favorites (as well as a personal favorites) and making us realize that whichever country we hail from, we share an on going obsession with Madhuri Dixit. Closing the love block with the word “I have too many love songs” and the ever present smile, the musical maestro immediately kicks off his “Punjabi section” of the concert, or as Rahat told the crowd, the language in which you can call anyone, anything and they won’t mind it. After a few more crowd pleasers like “Samjhawan” (Humpty Sharma Ki Dulhanya), Surili Ankhyon Wale (Veer), we head into the qawalli portion of the concert, which was essentially the Nusrat Fateh Ali Khan tribute section, Rahat’s mentor and legendary uncle. During the intermission all the performers even changed in more traditional qawalli gear like purple kurta’s and elegant sherwaani’s taking their place in the classic formation behind tabla’s and harmoniums. The Nusrat Fateh Ali Khan songs have decades old connect with the audience and it is the closest the London Arena got to the rapture and hypnotism of a true qawalli performance in the streets of Lahore or Delhi. To Rahat’s own admission, he understood early in his career and made the conscious decision to not only focus on classical qawalli but foray into more popular tunes, usually adapted and re-performed for the larger audience whereas his uncle had the popularity hoisted upon him, and he never really felt comfortable in this new modern medium of “music videos”. It is a decision to be applauded as it shows reverence for what has been but a determination to reach people through today’s medium. But it is also in these songs that the comparison between the Rahat Ali Khan being in the shadow of his uncle becomes clear. If you have heard the original recordings of Nusrat you realize how incomparable his talent and command of qawalli truly was. And although Rahat comes close, like listening to a great cover band, there is a silent agreement between audience and performer that this is the closest we are able to get to the original, and for most of us, that is already better than any other musical performance we have attended in our life times. 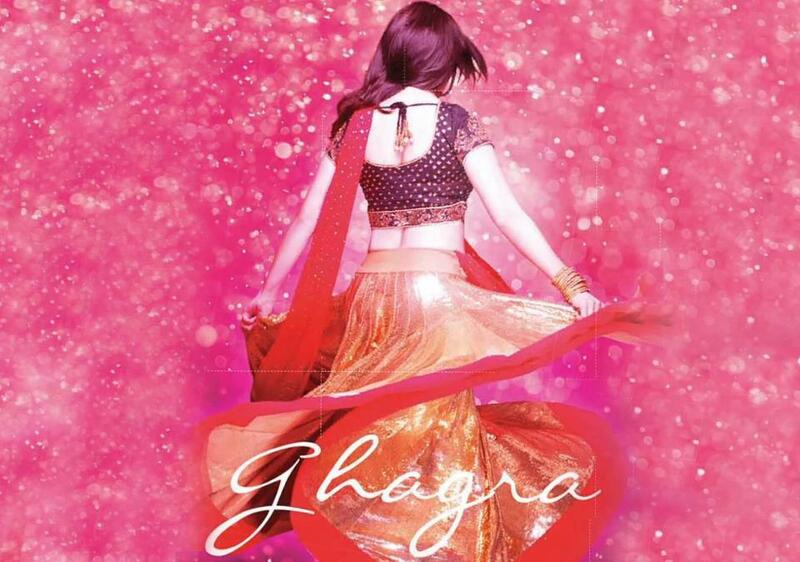 After the qawalli high, we return to some more Bollywood songs of recent years and somewhere, suddenly they seem much simpler and almost child like to the previous compositions. The energy drops a little but the audience is very happy to see their personal favorites ticked of the list and performed live. Rahat’s commitment and sincerity never fails though, as he croons his personal favorite “Ae Khuda” from Rocky Handsome, a song I have gone back and revisited after the concert and have truly started appreciating for how it stands out compared to more the paint by number hits like Bodyguard’s “Teri Meri” or “Tere Mast Mast do Nain” from Dabangg. The concert closes with Jiya Dhalak, his big introduction to the Bollywood audience and Mast Qalander, his uncle’s greatest hit. Rahat Ali Khan sang for us with only a small intermission for 3 hours straight with power, sincerity, keeping in mind what the audience asked from him but giving them much more than they needed. He gave them the memory of an unforgettable experience with a true musical master of the likes that appears only once in a lifetime.